Miss Beauty Saver // A British Makeup and Beauty Blog: £1 - £2 BARGAIN Barbabra Daily Makeup Brushes from Tesco! £1 - £2 BARGAIN Barbabra Daily Makeup Brushes from Tesco! 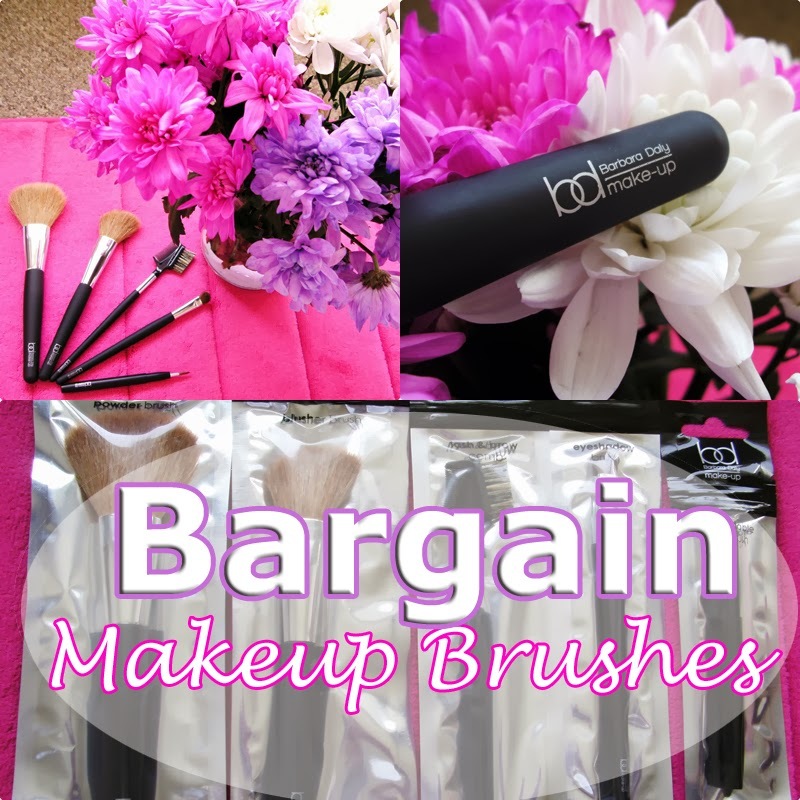 Bargain Barbara Daly Makeup Brushes from Tesco! If you're looking for some new makeup brushes, Tesco have some Barbara Daly makeup brushes massively reduced at the moment to between £1 and £2 each. I recently purchased the five makeup brushes pictured above for only £6.55. I haven't tried any of these yet, so I'm yet to form many opinions on them. But what I can say so far is that they feel very soft and appear to be well made. I'm fairly confident that I should be able to get many years of usage from these as makeup brushes can and do last for ages if they are properly taken care of. These brushes are made from natural hair and although I would personally prefer that they were synthetic, it isn't uncommon to find natural haired brushes that are cruelty free these days so I'm hoping that these fall into that category. As I mentioned earlier, I picked up five individual makeup brushes: a powder brush. an angled blusher brush, a lash and brow comb, an eye shadow brush and a lip brush. There was also a makeup brush set for under £4 but that one had already, perhaps not surprisingly, sold out. All of these brushes seemed to have been reduced by about 75% of their original selling price so I would guess that these little beauties are probably on clearance and will soon be disappearing from Tesco stores forever. If you fancy playing with some new makeup tools, I would recommend checking out your nearest Tesco store and seeing if they have any of these bargain makeup brushes left.